As promised and just in time for Halloween, (although a few weeks delayed which couldn't be helped) is the second part of my blog about communicating with the dead. I would like to share a few of my son's unusual and astonishing communications with spirits and dreams he's had the last several years. His remarkable connection with deceased people and the eerie accuracy of the information the spirits have related to him I hope will fascinate you as it does me. He will tell you he is a very reluctant psychic. He wishes he didn't have dead people coming to him in the middle of the night giving him messages for hours that leave him tired and drained of energy in the morning. 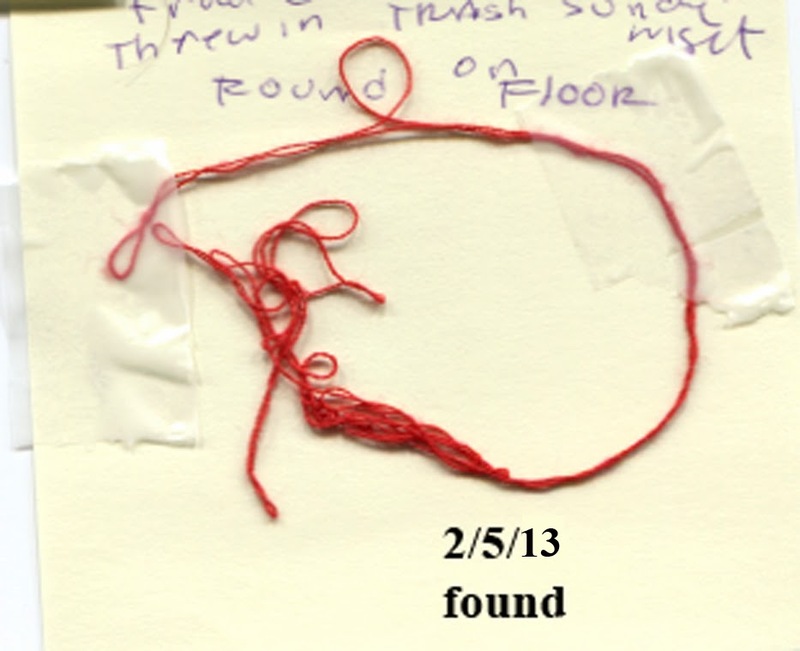 But its been happening since 2009 when we first started working on cleaning out my deceased friend's estate. 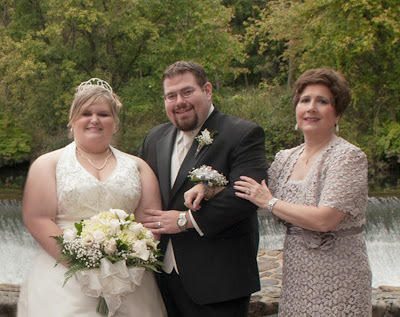 As I mentioned before it started out with a dream my son Chris had of my deceased friend only a few weeks after his sudden death.From sources on reading ways people communicate with the dead,it seems when we are dreaming we are very open to communication from deceased loved ones and from the other side in general. This is because we're already in the astral planes, which is a non-physical place that we visit when we're asleep. It easier for the deceased "to meet us half-way" energetically speaking, by visiting us there. Makes sense. This is what seems to have happened with my son. There is no doubt in my mind that my son's long time connection to my friend Paul* (who once told me he would have been proud to have a son like Chris) and him helping me clean out Paul's house somehow triggered and brought a dormant psychic ability that was always present in my son to the surface. Looking back I remember Chris telling me of an "imaginary friend" that played with him in his bedroom and a period of time when he was about 6 and would awake in the middle of the night, come into my bedroom frightened and tell me, "the lady was looking at me". I thought at the time it was an Renaissance woman's portrait I had painted in art school hanging near his bedroom, so I removed it thinking that was the cause of his terror. 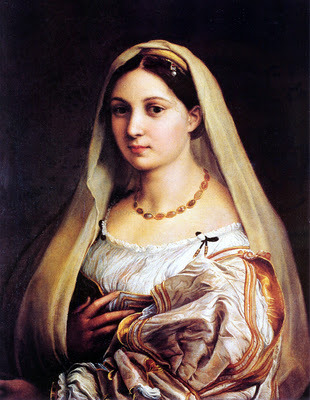 This is the portrait of Raphael's lady I copied in art school. I know now it was something else. We've become aware of children ghosts that are in our house, who (we've been told) died suddenly and tragically and of a woman guardian who looks after the children and us. 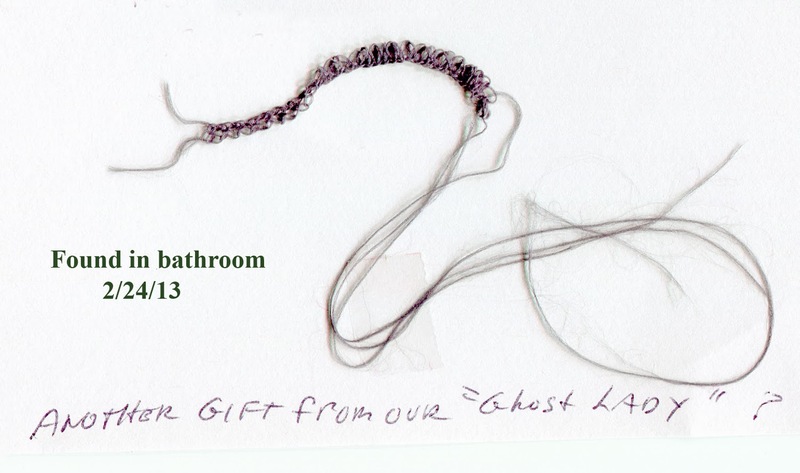 We think she is the one who leaves me the "ghost threads" presents. Her name could possible be Marjorie. 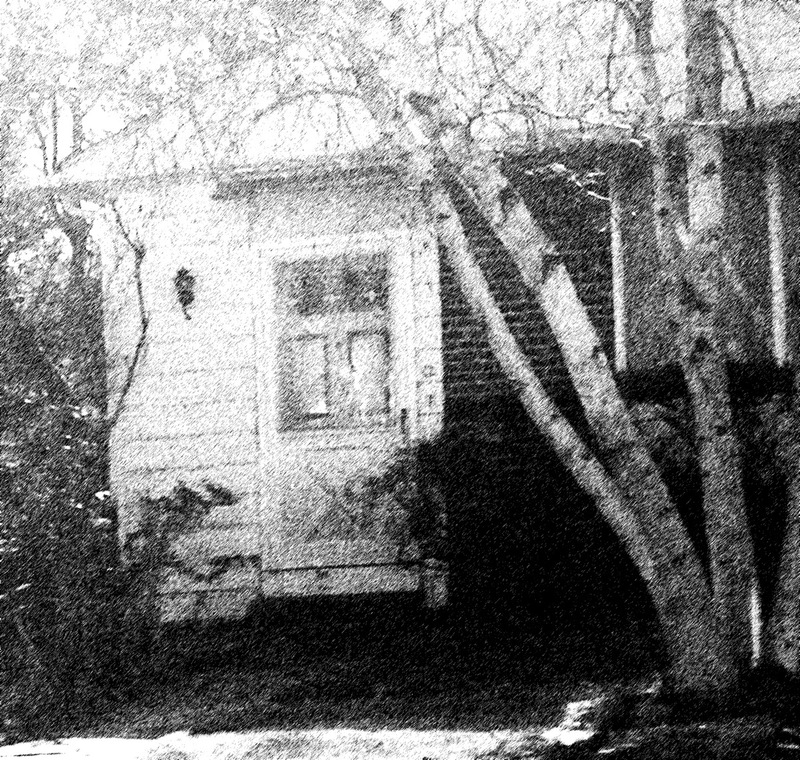 An older woman's apparition has been seen in between our front and screen doors (and with a space width of less than 8 inches it wasn't a live human), She has visited my son in a dream holding a little girl about 4 years old who is dead. She tells my son to look out from our upstairs bathroom window to see the site of the little girl's grave. We have been told by a team of "grave dowsers" who investigated for us that there possible could be not one but several graves on our property. 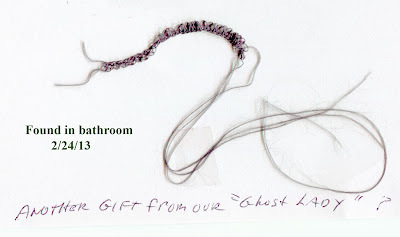 Near the upstairs bathroom window we've smelled an strong old fashioned fragrance of lilacs and roses and have found several "ghosts threads". 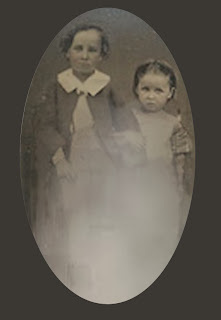 My son tells of a dream he's had of a young boy about 8 years old, and his name is Benjamin Foster, who has been on our property for a long time (1800's). 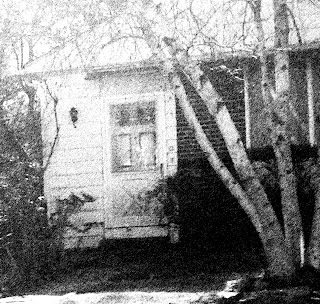 We have seen his ghostly hand prints above our garage door and his message for help. When we researched this there is indeed a record of land near ours that was originally the Foster Family farm and is now a children's playground called "Foster Tract". Benjamin likes to be in my son's room (he tells my son he is afraid of the bad man in the basement) and plays with my son's movie monster and action figure collectibles and they are often moved around in the room. 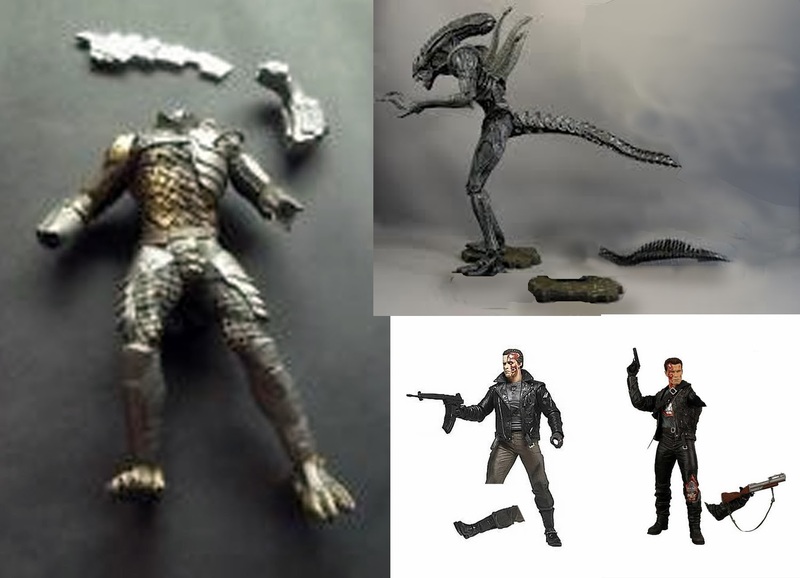 But when he feels my son is ignoring him the ghost seems to have a "temper tandem" and some figures have been found tossed around the room and broken. Our little 4 year old ghosts that Chris has met are a boy and girl and they died from a sudden illness. They like to run through the house and our breezeway and take down my clothes on the clothes tree outside and take down my sun catchers on the window-but never break them or move any other items on the window sill-they are placed with care. Our resident ghosts are not the only ones appearing to my son in his dreams. There has been puzzling historical figures and references that we are still tying to understand. Like the time my son woke up and asked me if I ever heard of Enid Cemetery? No I hadn't. He then tells me a WW 2 pilot, whose name was Lt. Robert Strickler, who lost his life in the Pacific came to him. Why? Several grave markers also contribute to the historic significance of the cemetery: William F. Svarik (1909) in the Catholic cemetery, W.C. Conley (1889-1921) in Potter's Field, William Mason (1909-1936) and M.J. Adler (1867-1919) in the Jewish section, Lt. Commander Robert L. Strickler. 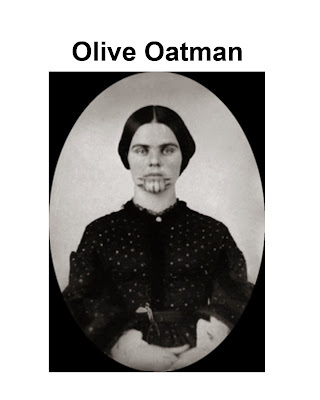 Olive Oatman (1837–March 20, 1903) was a woman from Illinois whose Morman pioneer family was killed in 1851 when she was fourteen in today's Arizona by a Native American tribe, possibly the Western Yavapai who captured and enslaved her and her sister and later sold them to the Mohave people. After several years with the Mohave, during which her sister died of hunger, she returned to the white world, five years after being carried off. In subsequent years, the tale of Oatman came to be retold with dramatic license in the press, in her own "memoir" and speeches, novels, plays, movies and poetry. And what really made Chris jump off his bed was Olive Oatman's Photo: Both Oatman girls were tattooed on their chins and arms in keeping with the tribal custom for those who were tribal members. Olive later claimed (in her memoir book and in her lectures) that she was tattooed to mark her as a slave of the Mohaves. Her markings were just like the one the actress wore on the TV show. What did this mean? Someone the dreamer knows (family, friend, loved one, or distant familiar person) who recently died and the soul who just past needs the dreamer’s guidance or some type of reassurance of their death. 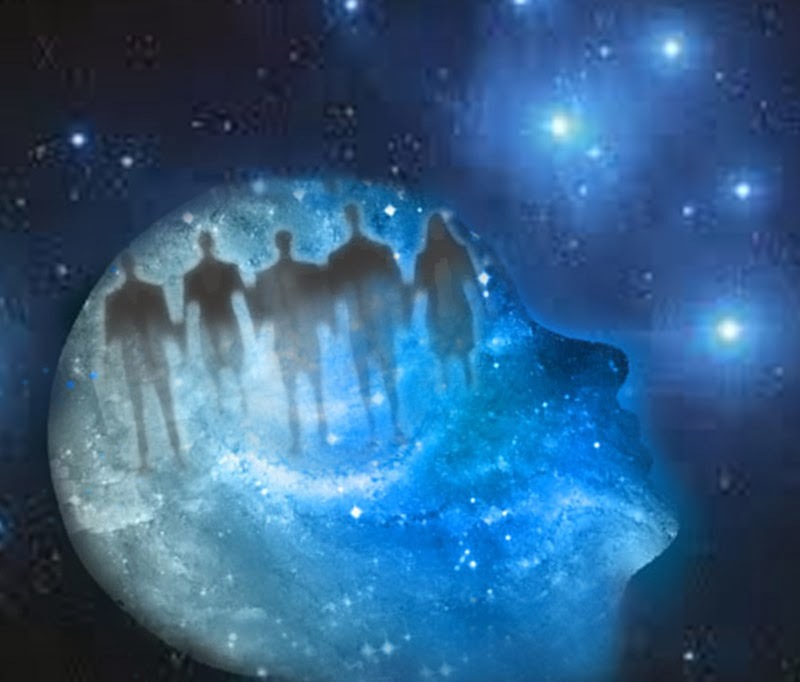 Or the dreamer is in need of guidance, protection, comfort – a spirit (whether familiar or unfamiliar) will appear with a message, or love and warmth, for the dreamer (whether the dreamer realized he/she requested assistance or not). We are not sure why these long dead spirits are contacting Chris. This is only a small sample of the unusual psychic connections Chris is dealing with all the time. There are other dreams which I can only reveal in my next book because of the potential serious nature of the allegations it presents connected to a particular ghost we have been dealing here since my friend's death. Having a psychic son is both a blessing and a curse. I worry about the dark along with the light that is attracted to him. He takes it good naturally and with a sense of humor. I support him as does his wife as someone who is truly gifted and sensitive with special abilities. We will always believe in him and it certainly makes our lives very spirited and interesting! A very interesting blog post, Anita! Happy Halloween!